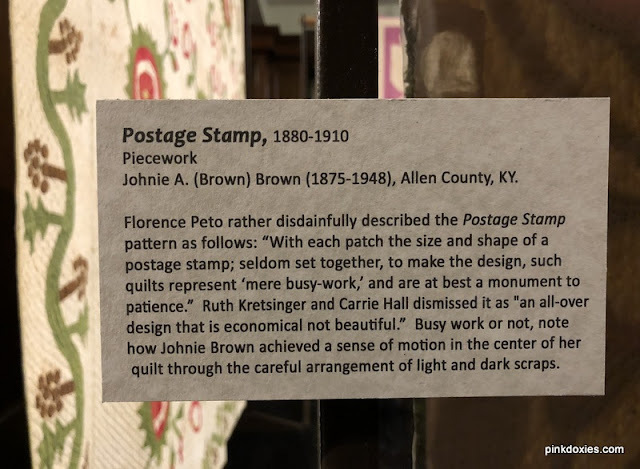 My husband and I made a whirlwind trip to the Kentucky Museum last weekend on the Western Kentucky University campus in Bowling Green, KY. 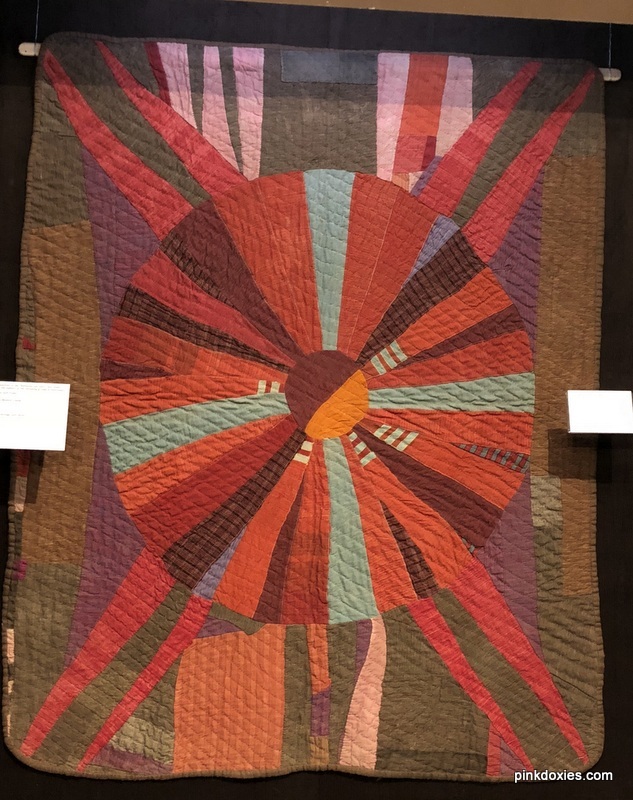 The Kaleidoscope exhibition opened earlier this year featuring 30 Kentucky quilts, and the first public viewing of the spectacular Kentucky Sun quilt. I had seen pictures of it before, but nothing could take the place of standing there in front of it. I was overwhelmed. 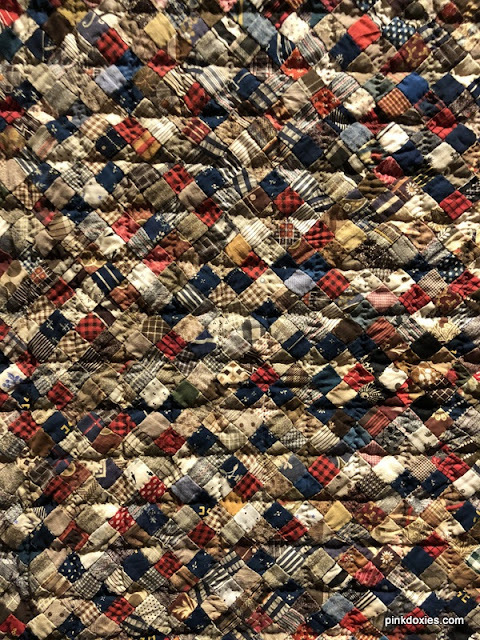 This quilt was made nearly 140 years ago, and it was old yet so amazingly modern, and I couldn't stop staring. To put in in a chronological perspective, it was made 15 years after the Civil War ended in the time of Billy the Kid, Wyatt Earp, and the O.K. Corral. 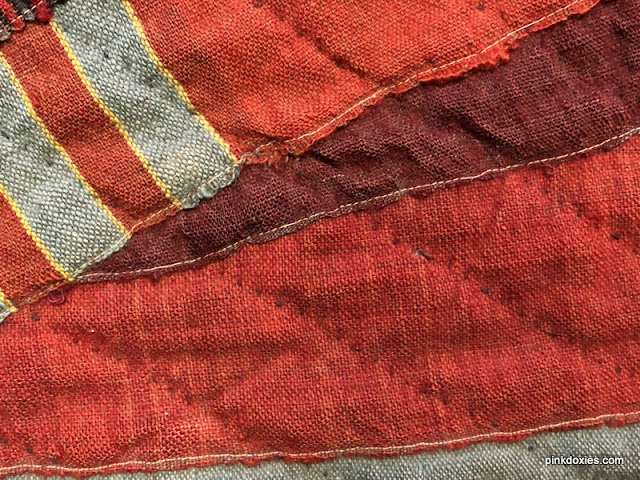 It's funny how it puts me in the mind of the western frontier, and I wonder if that had any influence. 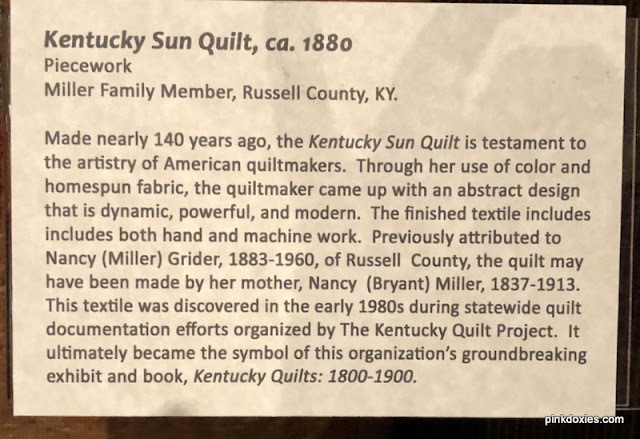 The Kentucky Sun Quilt has a fascinating story behind it, and was on the cover of the Kentucky Quilt Project's publication. 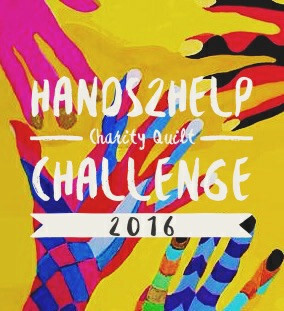 Read more about it through the link. 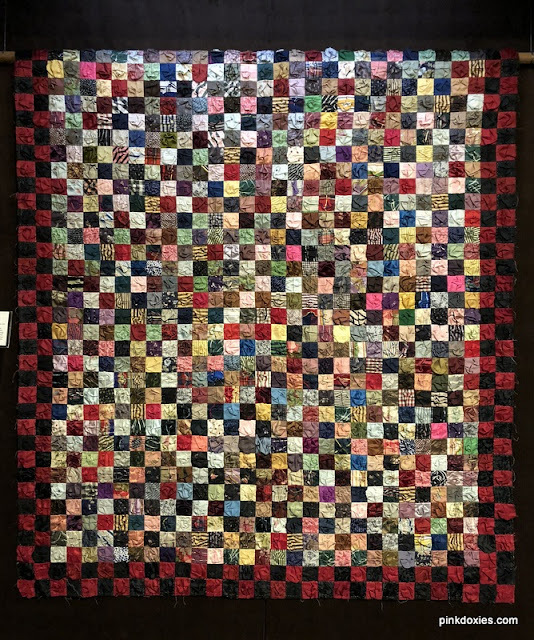 The Kentucky Quilt Project was the first of all the quilt documentation projects in the U.S., and organized in 1981. 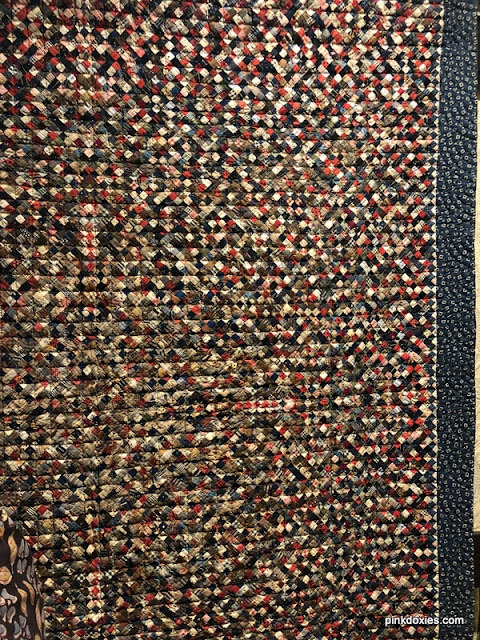 I missed getting the placard on this quilt. Once again, it was stupendous. I had my nose as close as I dared in front of it, but found it most alluring from a seat across the room. The secondary designs were just beautiful. Note the cross-hatch quilting in the solid mauve squares. You know I love a good one patch, and this didn't disappoint in the littlest bit. 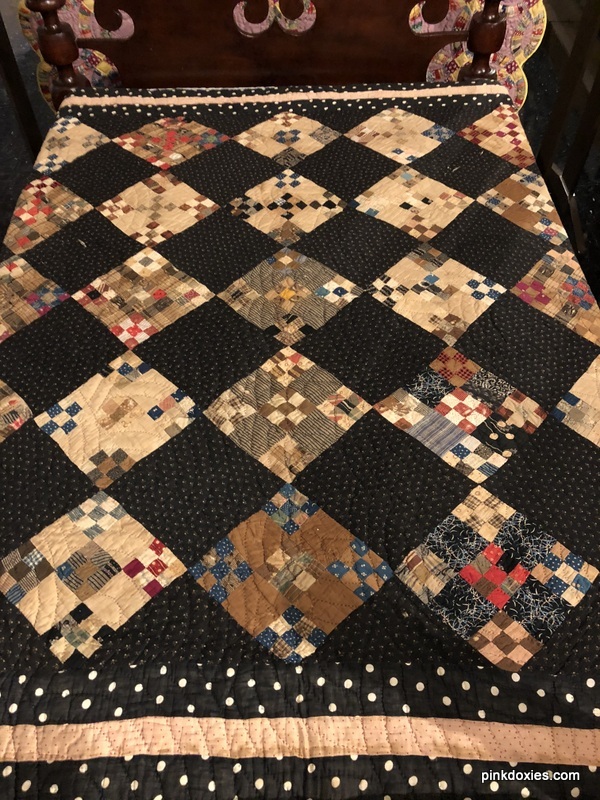 And do note the quilting. Again, no placard, but one of my favorites. I must tell you how beautifully the quilts in this exhibit were displayed. 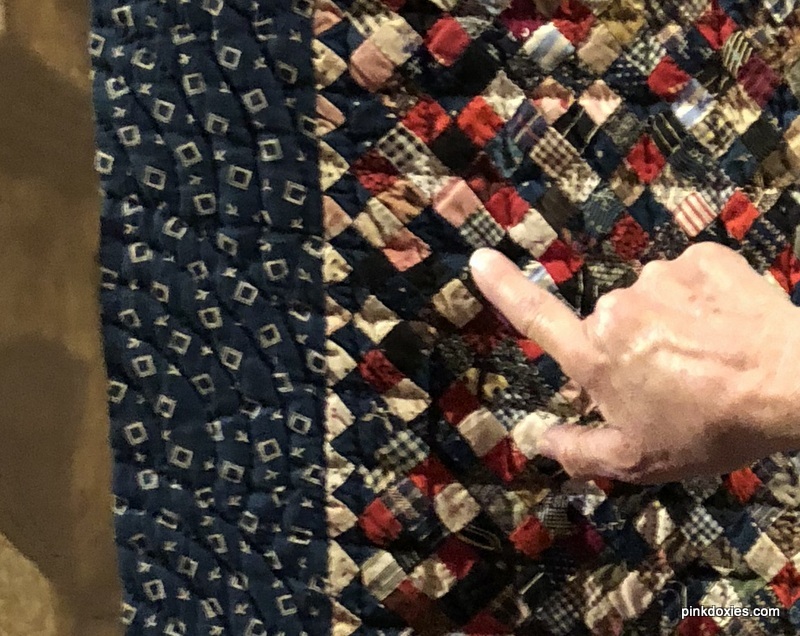 So often the quilts are all hung vertically, and we separate them with the idea of being a bed cover made for warmth or beauty or even both. Many period beds were used as part of this display including vintage cribs. 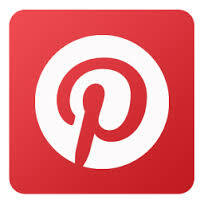 One never lost sight of the initial purpose of their creation. Many minds together could not figure out the exact piecing method or construction. 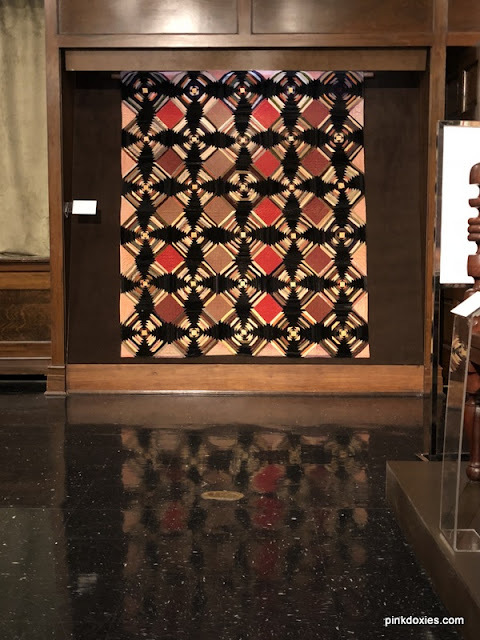 The prints were a virtual library of the time period. It's no mystery where most AWOL bloggers from the northern hemisphere have been. We're bogged down under seasonal work. 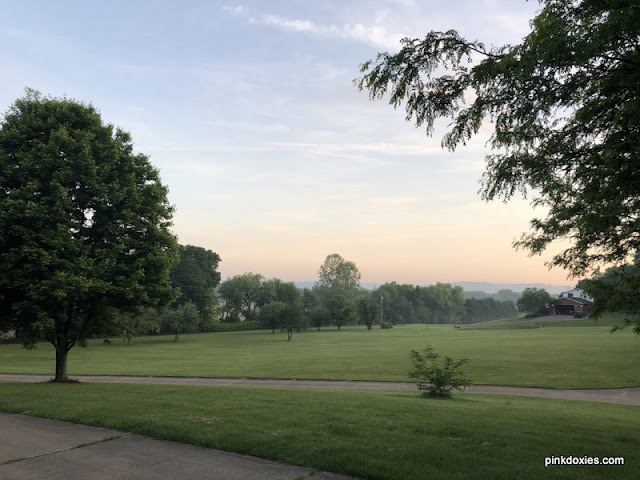 Grass and weeds, planting, our children finishing school, and the realization that spring was only a blink of the eye before the heat of summer overtook us. I'm making no apologies for donning gardening gloves over quilting gloves, and I hope you can lay aside your projects to enjoy a garden too. A little upkeep now will make the whole summer a lot easier, and so I keep telling myself. 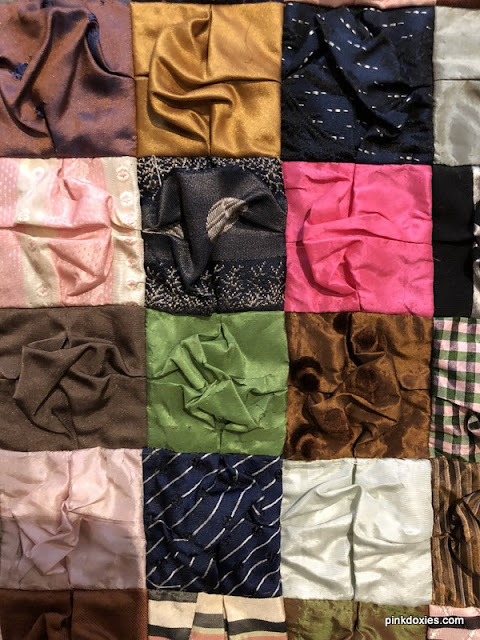 We'll all catch up in June, but for now steal those little moments to sew when you can. 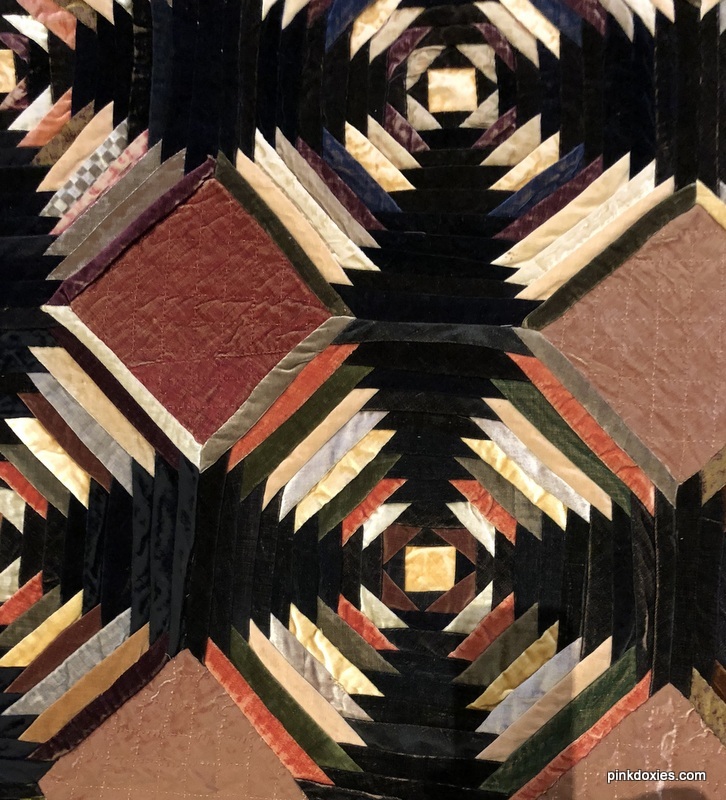 The quilt exhibit looks and sounds just magical. I am so glad you got to take it in and share it with us. Thanks for sharing. 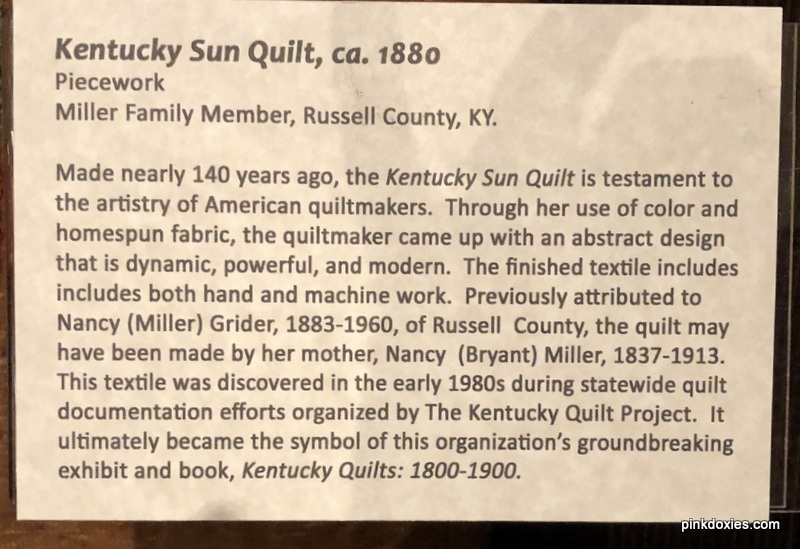 I have to say the most outstanding quilt to me is the Kentucky Sun Quilt. 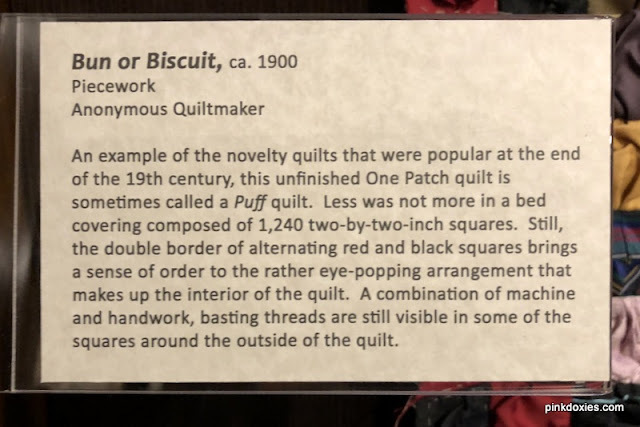 I had no idea that they used machines to piece and applique quilts that long ago. 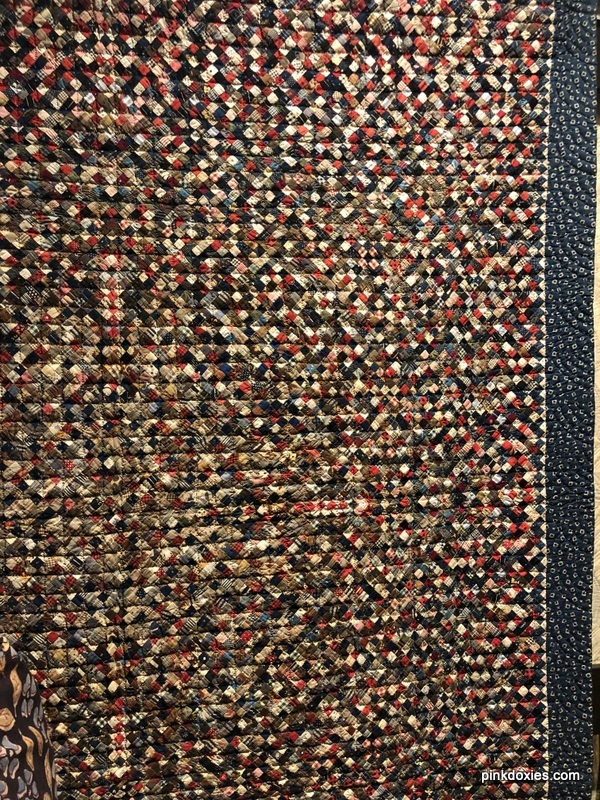 I thought it was all done by hand. She was way ahead of her time! Thanks for sharing the photos. It is always amazing to see quilts that appear "modern" from many years ago. 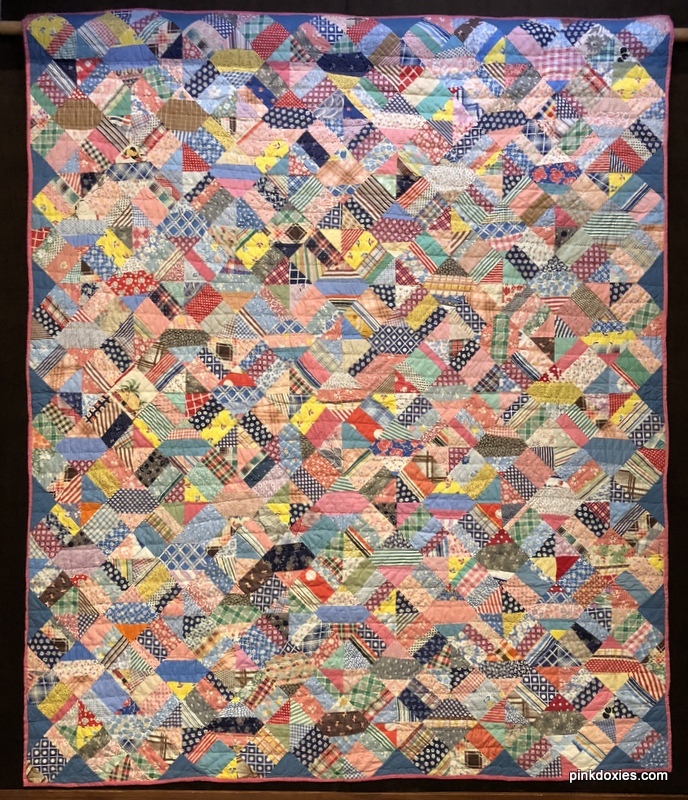 They also show how use of some simple design elements (like the repeating blue color on the 1940s "String") can give a scrap quilt order. Thank you so much for showing us your photos from this exhibit. 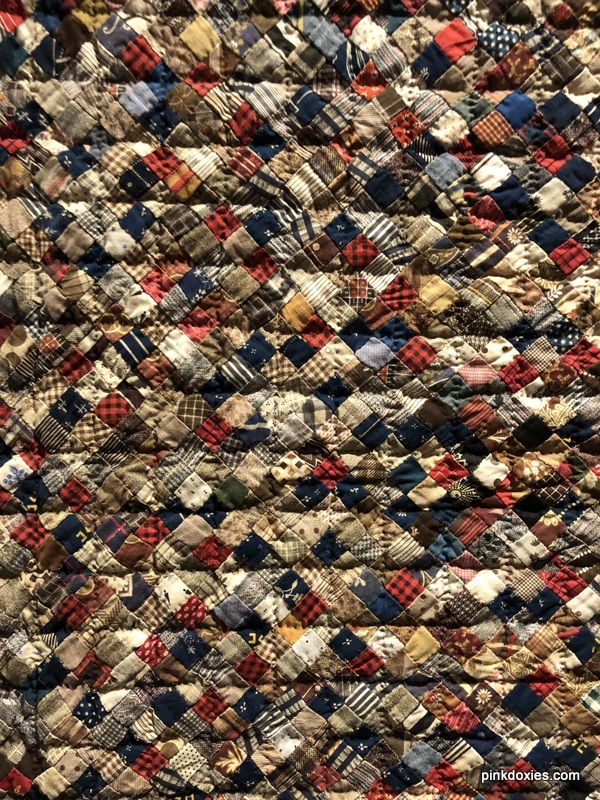 I'm a Kentucky ex-pat, living in Wisconsin, and have long loved the sun quilt from the cover of the book. It was wonderful to see it in your photos, plus all the other terrific scrap quilts. Thanks for sharing the photos. It must have been a fabulous experience to see all the quilts and read about them. 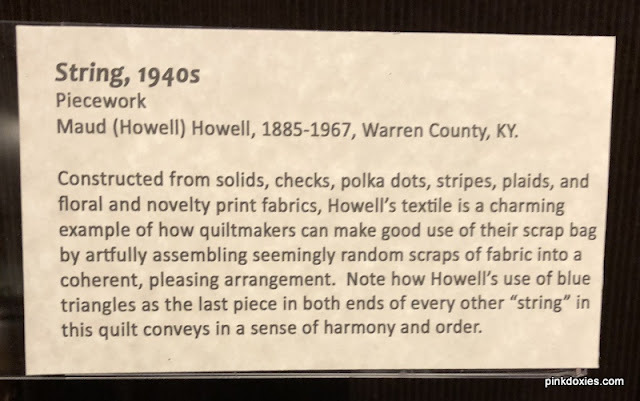 WOW, you must have been in 7th heaven while touring that museum! The Sun quilt really is quite amazing, especially considering the year it was made! Loved seeing these pictures! What a great experience for you!